The former name of this book is Natural science principle summary and set things right, the subhead is Judging the three great refutes between two schools of top scientists, it changes to the present name Natural science principle summary the subhead is Interpretation about the important difficult problems of physics law after being read by the press, as the author I also realized that the former name is not good, and the wording of the article was unpleasant, it is modified now, but because my vocabulary is short, and also the reason of my character, I don? ?t know it is better to use which modification words, there still probably exists individual unpleasant words, not like Newton's great work, which is pleasing, gentle and mild. So if you see any unpleasant word, please bring forward your precious ideas and understand. I have been repeatedly thinking- is there any mistake in the book? Is there any mistake in the deduction? However, I can not find any mistake after searching over and over. The reason why this book is named as "Natural science principle", it is because I worship mathematics Principle of Natural and philosophy. The reason why this book is suffixed as "summary", it is because: First, no self-conjecture and even more no self-fantasy, and it is the summary on the basis of analyzing massive physics experiments and human project practice. Particularly, the independent radiation of electric field wave and magnetic field wave is the great Hertz experiment logic, there is certain introduction in physical books, the difference is that the analytic results are different, which leads to the correctness on physical concept and mathematical model, which is also from the contribution of Hertz and Lorentz, which is not fabricated by myself without any reason; the superposition character of the radiation speed of electromagnetic wave(or light velocity) has also been used by many project practices, which is truthful and reliable, and obeys Galileo relativity principle, which is not my light velocity hypothesis; the opinion that the essence of electromagnetic wave(and light wave)is not energy is referred during negating Maxwell Curl Equation, which is the necessary conclusion from concluding massive physics experiments, and I am not claptrap. 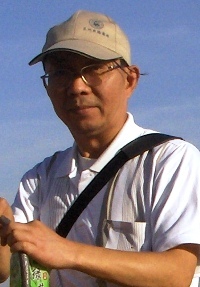 Secondly, as for the content of this book, it is about the correctness of several historical issues of natural science, which refers to the opinions and chronic ideas of important historical physical experiments, for example, T. Yang's interference is chronically thought as the interference of energy and so on, this book comprehensively investigates relative experiments, integrates issues, clarifies thought, make conclusions, and never bring forward self hypothesis and construct model in addition to surprise the scientific circle, so the success of this book attributes to the senior physicists, it is their sweat experiments which settle the basis of this book. Thirdly, the mathematical formulas in the book is the content in current math manual, not the mathematical games that I fabricated, and the deduction in the book is correct. 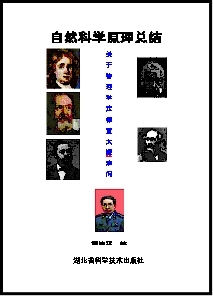 Fourthly, as for the starting point of this book, this book is the attention and research to the three great refutes between two schools of top scientists, during the research it was discovered that Curl Theory and Special Relativity are error theories based on error root, its issue, argument, deduction are all wrong. Especially the error of special relativity, which is horribly wrong, no one can save, even put the observation of astrophysics phenomenon on general relativity? ?s rank, it is also useless. Because this book totally negates the issue, argument of special relativity and its mathematical tools, and uses Newton law and light velocity superposition principle to re-explain the important dissent physical experiments in history(including Michelson-Morley experiment and Compton experiment). Furthermore it also uses general Lorentz magnetic force to explain all electromagnetic induction phenomenon, associates general Lorentz magnetic force and great Hertz experiment logic to explain the application of radio engineering. In total, this book thinks that Maxwell Curl Field theory and Einstein special relativity are error theories based on the error root. What's the reason for the two great scientists to make such a mistake? I am very confused about it. As for this, I pondered about it for many days. The main reason is because of the science development level at that time, ether theory was dominant then, Maxwell curl theory was born based on ether, made ether and conductor equivalent to discuss electric displacement, and people had no knowledge of charges and even more no knowledge of the essence of electric current. Michelson-Morley experiment was born based on ether, Lorentz transformation was to explain the interference experiment of ether theory and also consent ether theory, which impelled Einstein to devote himself to research ? ?measurable and immeasurable relative to the motion of ether?? such superficial phenomenon. In other words, if there had been no Curl Theory of Ether Theory and the interference experiment of Ether theory as the basis of special relativity, or if there had been no Lorentz hypothesis of Ether Theory as the mathematical tool of special relativity, there would have been no attempt to explain the special relativity of measurable and immeasurable relative to the motion of ether. So it is ether which causes relativity, it is also ether which trapped Einstein half of his life. Besides this reason, there are also other reasons on the research means and mode. I still remember the teachers of Sichuan province Yue Chi County NO1 Middle School and China Electronics University Of Science and Technology all said such three words , logical deduction is essential to math, concept and connotation are essential to physics, and equation equilibrium is essential to chemistry. Mr Einstein researched physics but didn't stick closely to the concept and connotation of physics, but used pure mathematical hypothesis to realize physics character. Relativity can? ?t leave Lorentz transformation such interesting mathematical game, from its beginning to its end is from mathematical game to mathematical game, it seems that he wants to use mathematical game to direct physics experiment, it seems that he wants to use mathematical game to change space and construct another universe. To be true, as a twenty-five-year old Einstein, he is very talented, he associated photoelectric diode and black body radiation in the research of photoelectric effect, young and capable, very talented; he associated Coriolis force in the inertia with electromagnetic induction issue and curl field issue in light wave interference research, I really admired his association talent from my heart! How far his thought is, how far the miracle that he created is. But Einstein is a man not god, We can? ?t take error relativity as god because ?? Wave-particle Dualism?? was obtained the reputation of Nobel Physics Prize. He lacks broad and deep physical concept research on physical phenomenon, so the special relativity that he created is really wrong, horribly wrong, and brought the development direction of physics into a blind alley. But it is just because he pushed individual errors of physical history to climax, which makes us burgeon the conclusion and correctness to nature science principle, also it is just because of his association event at the beginning of his relativity article, which makes us see that there still exists bequeathed issues in physical history during investigating the truth of relativity, also it is just because of his those association events, which makes us find the way to negate relativity, as far as this concerned, we have to appreciate Mr Einstein, it is him who inspired us to work hard to negate his conclusion and its derivative conclusions. Maxwell Curl Theory is a half math issue and a half physical issue; he used mathematical formulas but paid no attention to the condition of using the formula; used physics equations but paid no attention to physical definition, just applying the equations to calculate the curl. As it is pointed out by Lorentz. It is right for Hertz to eradicate the power of Maxwell equation, but Maxwell never believed charges entity, always used his electric displacement to replace charges, it is also very difficult for people to understand what the charges that he referred to is, he also never cared about how electromagnetic field was produced, in his theory it seems that electromagnetic field is from infinite distance, a field that does not need source, only the motion of charges is the root to produce all electromagnetic fields? ?, field does not produce field. Maxwell? ?s imagination is powerful, he thought that electricity is not point nor face or solid, but the electric displacement formed when ether is pulled by electrodynamic force, so conductive current equals displacement current and spreads to ether space, thereby he is the first one to predict the existence of electromagnetic wave, which caused Hertz experiment to process soon. But the physics concept and mathematical model that he gave out are wrong, and Maxwell senior? ?s errors are inevitable under the historical limit of physics research at that time, the cognitive environment that metal electronics theory was not born and the environment that ether was popular. Furthermore, if there had been no the prediction of electric wave and limit of wave speed from Maxwell senior, our world civilization will be delayed dozens of years, so the contribution that Maxwell senior contributed to human progression is primary, his theory error is historical limit and the necessity of science sinuation. Natural science development benefits humankind and has brought civilization and progress to the world. More than two thousand years of scientific development history recorded the great achievements of the science pioneers who made great contributions to human civilization. But it is regretful that the three big disputes including light velocity measuring dispute, electromagnetic induction dispute and time-space dispute are still beyond solution. More concerns have been made on the above disputes in the past hundreds years in order to further the science development to a high level. The book makes a complete investigation on the history of science development, summarizes the laws of classic physics and modern physics, states the electric wave generating mechanism and the radiation model, and reveals the principles of light motion nature and variable light velocity. The conclusions are: Time is absolute and one-directional, space is absolute and isotropic, light velocity can be able superposition, General Lorentz magnetic force is reasonable, magnetic wave and electric field wave are independently radiant, Einstein's relative theory is absurd, and the curl theory of free space is a mistake. The conclusions have negated the relative theory of Einstein and the curl theory of Maxwell, supported the Newton- Galileo time-space view and Lorentz magnetic force, and solved the three problems of the light velocity dispute, electromagnetic induction dispute and time-space dispute. Reasonable interpretation, instead of fame, should be the best solution to all the science truth, and the Nobel prize judges and more physicists are expected to pay more attention to my research, and then all the different views and refutes from readers are welcome. You can read 18 pages of description of each chapter including preface, conclusion, and postscript by click on the link "Read some of its content now" above.